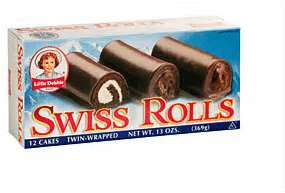 I used to love Little Debbie Swiss Cake Rolls. When I was nine years old I bought a box of them, went into my room, shut the door and ate every last one. After that, I didn’t love them so much. In fact, I never ate one again. Even decades later I have no desire to peel off the outer coating, unroll the cake and lick off the cream filling. The desert wanderers had begun to turn up their noses at the manna God was providing each morning. Some sat inside their tents reminiscing about the free cucumbers in good ol’ Egypt while others stood outside their tents wailing, “Give us meat to eat!” (Numbers 11:13 NIV) I had to commiserate with the Hebrew children when they yearned to have a morsel of meat. All they wanted was to take a side of beef into their tent, shut the flap and eat the whole darn thing. God took care of their cravings — He blew in quail from the sea. The birds kept coming and coming until quail meat was three feet deep and spread out as far as the eye could see. Each person gathered about 60 bushels of fresh poultry….the first day. The Lord said, “You are going to eat meat for a whole month. You’re going to eat meat until it’s coming out of your nostrils. You’re going to be so sick of meat that you’ll throw up at the mere mention of it.” (Numbers 11:20 Message) God certainly knows how to make a point. This episode was not forgotten. The Psalmist was still writing about it hundreds of years later. “They lusted exceedingly in the wilderness and tested God in the desert. And He gave them their request, but sent leanness into their souls.” (Psalm 106:14-15 KJV). If I get bored with the life He gives me and start craving something else, I’m on dangerous ground. God takes my dissatisfaction personally. If I insist, He will let me gorge myself on the world, but such a feast will ruin my appetite for Him. I don’t want to face my God with Little Debbies coming out of my nostrils and emptiness in my soul. This entry was posted in Devo Drops and tagged cravings, Little Debbies, spiritual life. Bookmark the permalink. Somehow I missed this story in the Bible. It’s a rather entertaining story, except that it strikes close to home! We are an impatient and unsatisfied people….always wanting something more, or wishing we could go back to a time or place where we think we were better off (think of how we wanted to be done with college and get a job, only to find out that the college life wasn’t all that bad when compared to the world of work). Guess we need to be careful about what we wish for. Your last paragraph really sums it up well! Thanks for writing about this.